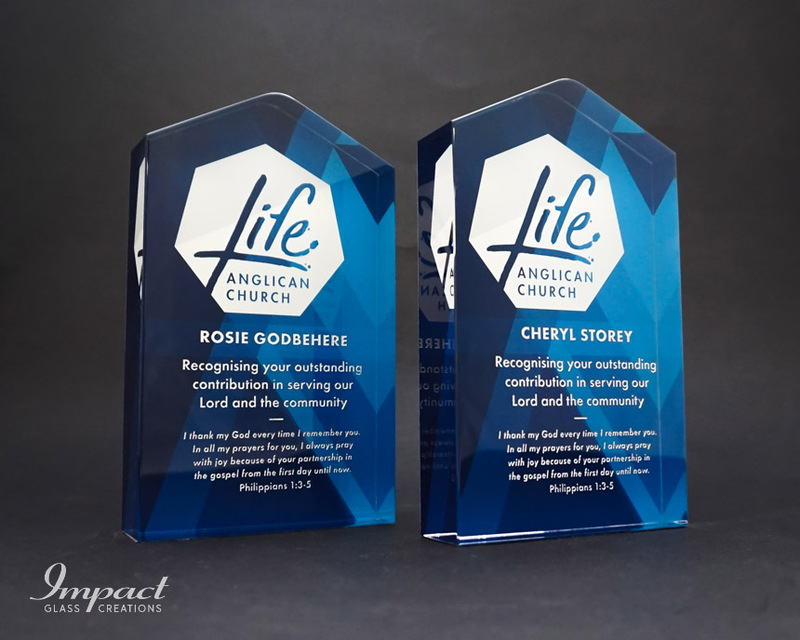 Australia’s largest bank has relied on us for their awards for more than 12 years and have done so for good reason. 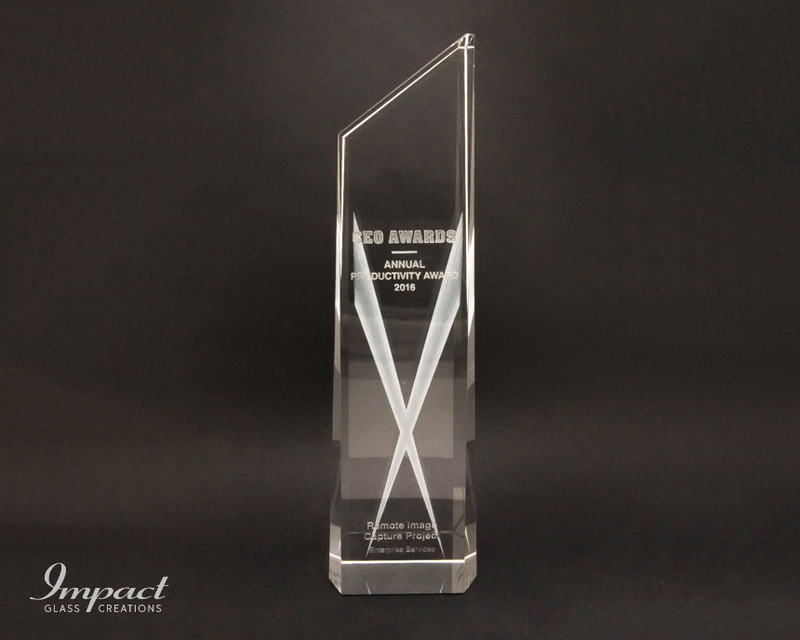 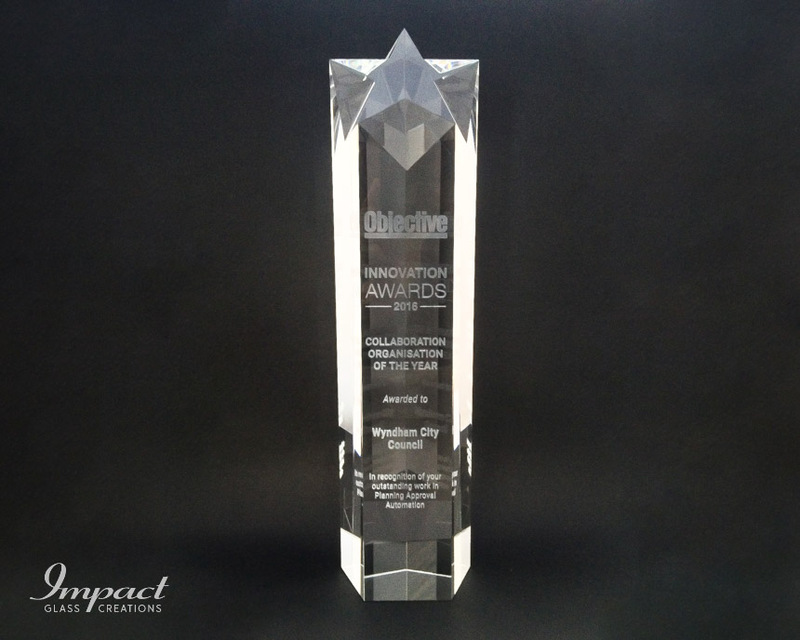 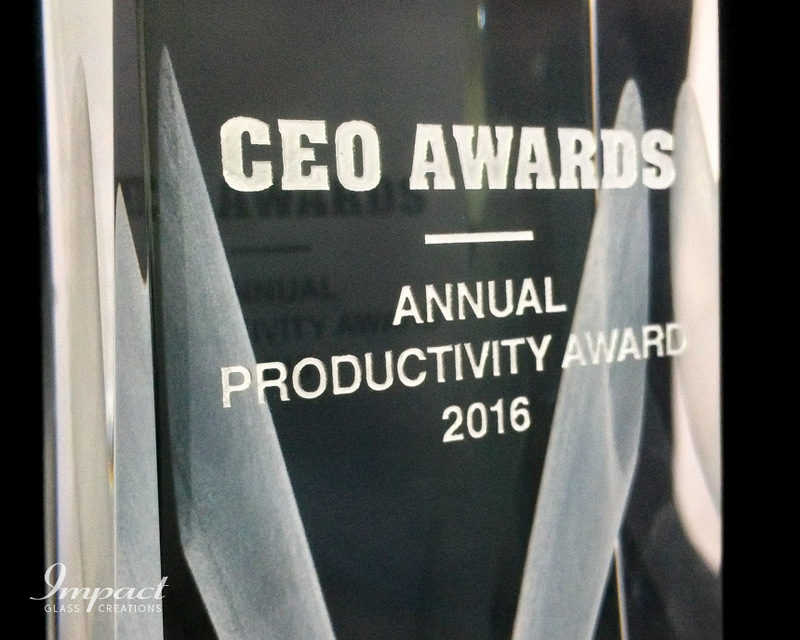 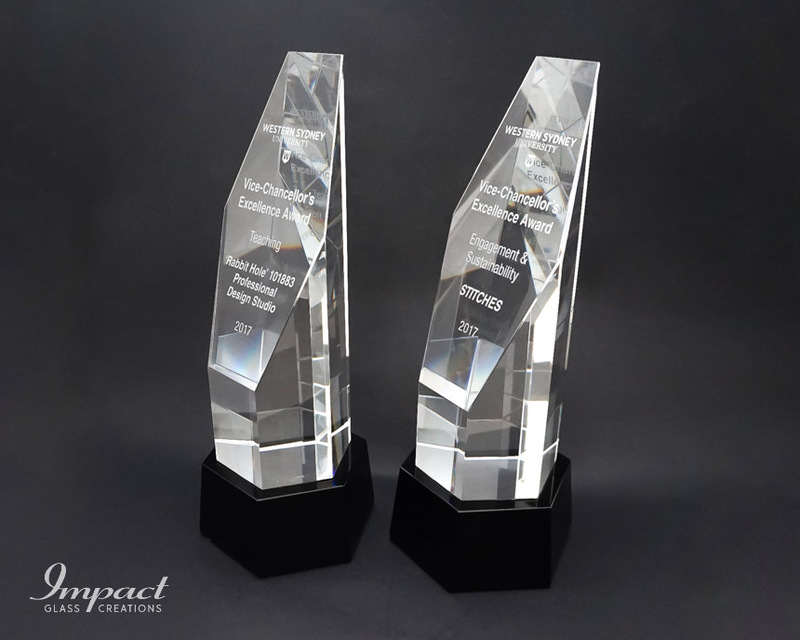 This modern and elegant crystal award was designed in collaboration with the team at CBA. 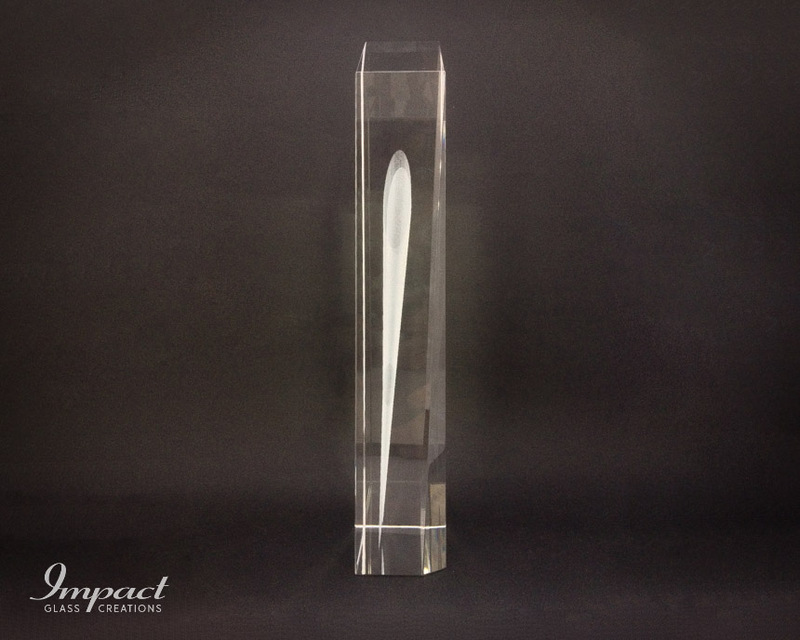 Light beams created internally to be the focal point of the trophy with the text engraved and silver filled on the surface.